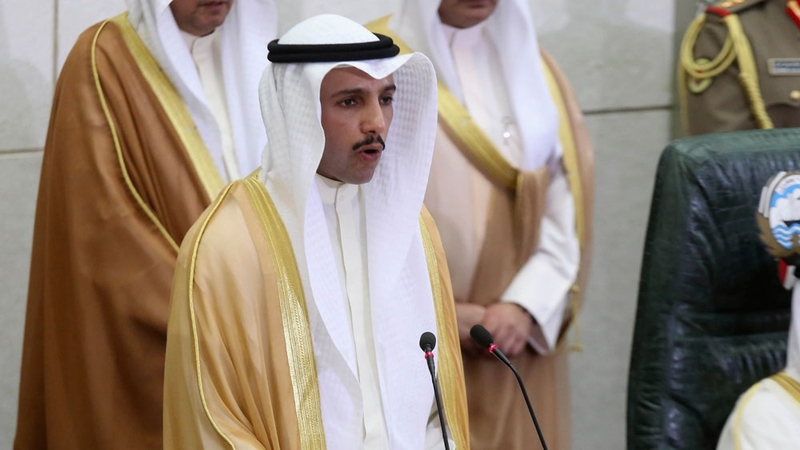 Kuwait- The head of the Kuwait’s National Assembly, Marzouq Al-Ghanem, lashed out at the Israeli Knesset delegation at the closing session of the Inter-Parliamentary Union Conference held in the Russian city of St. Petersburg, which forced the delegation to leave the hall. In front of delegations from more than 150 countries, Ghanem described the Israeli mission as “the occupier and the murderer of children”. He asked it to leave the conference room because of Israel’s violation of international law and the continued detention of Palestinian prisoners in Israeli jails. “Leave now if you have one ounce of dignity, you occupier, you murderer of children.” The Israeli delegation left the talks following the remarks by Ghanem and several other parliaments in the midst of applause. The Inter-Parliamentary Union Conference kicked off its work on October 14 and ended on Wednesday. Delegates representing 150 countries, including 100 speakers, 70 deputy speakers and 2,300 guests, including 840 parliamentarians, attended the conference under the theme of promoting multiculturalism and peace through interfaith and interreligious dialogue. The Inter-Parliamentary Union gathers 173 Member Parliaments and 11 Associate Members. It works closely with the United Nations and other partner organizations that share common goals. Established in 1889 and based in Geneva, Switzerland, the Union is primarily financed by its members through public funds. Four permanent committees operate within the framework of the Inter-Parliamentary Union, including the Permanent Committee on International Peace and Security, the Committee on Democracy and Human Rights, the Committee on United Nations Affairs and the Committee on Sustainable Development, Trade and Finance.